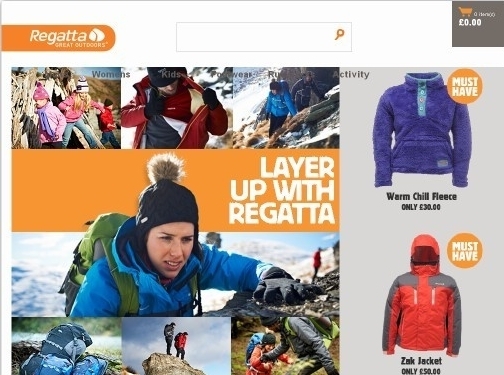 Regatta offer a great range of outdoor clothing including walking boots and sandals. Shop online today. UK (HQ in Manchester) based company - established in 1981 - providing outdoor clothing and footwear for sale. Website includes e-commerce facilities, delivery and returns information, size charts, full company contact address (within terms and conditions).